Shocking Pink and Chocolate Brown is a Double Dip of fun. 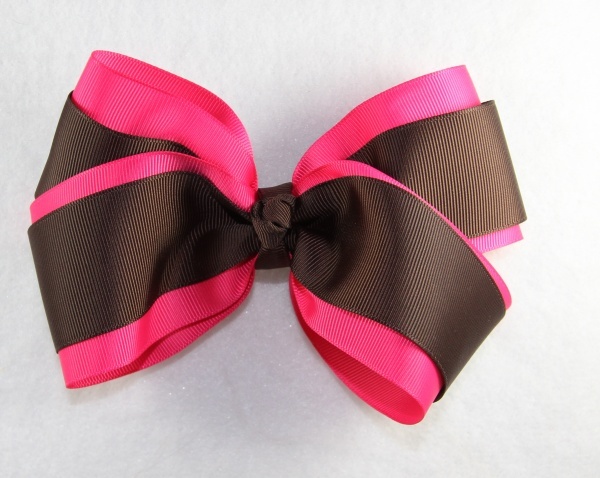 The bottom layer is a 2.25" Shocking Hot Pink grosgrain ribbon layered with a 1.5" Chocolate Brown grosgrain ribbon. The center french knot is the same Chocolate Brown color. These two great colors mixed into one great bow!